Have you ever had that sudden craving for food? And that too from a particular restaurant? Being a foodie, I get that craving quite frequently! A few days back, my tastebuds were itching to taste some Italian. So, I caught a friend, grabbed my phone and started for Bandra. Now, Bandra is a huge place dotted with hundreds of little eateries that serve multiple cuisines. My friend particularly wanted to go to Salt Water Cafe. Not wasting any time, I fired up the AskMe app on my Android phone. 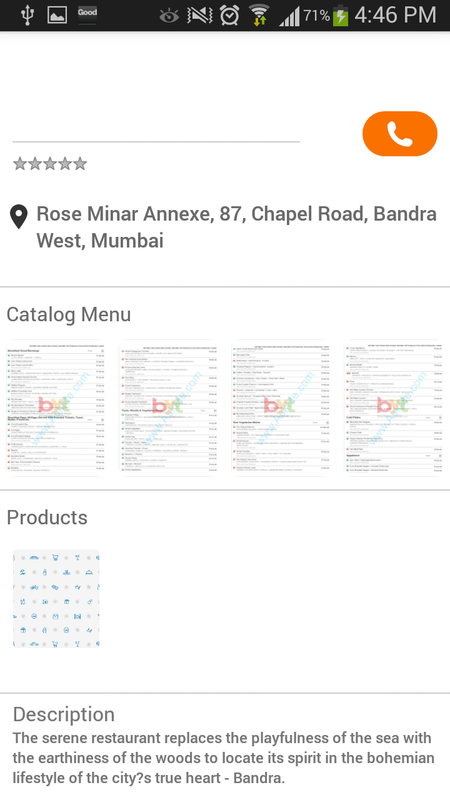 It automatically picked my city - Mumbai, and let me search for what I wanted. 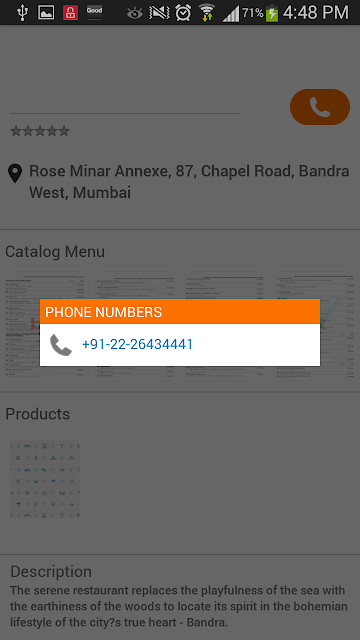 As soon as I keyed in the name of the restaurant, the app showed me two entries, only one of which was in Bandra. The app is quite neat and shows related deals along with the outlet list. I tapped the restaurant we were eyeing, and the next page had a crisp summary of the place - the address, menu and description. The copy of the menu was quite helpful as we were really hungry that night. 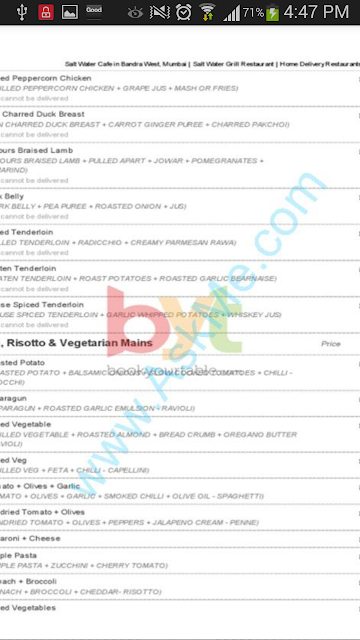 We almost shortlisted our orders before we reached Salt Water Cafe. There is also a cute phone icon on the app that lets you call the outlet directly. How convenient! Finally, when we reached the restaurant, we were please to see that there was ample space to sit. It being a weeknight, we did not find the crazy rush that this place otherwise witnesses. The place is quite spacious and has a soothing decor. The interiors are mostly of veneered wood. After we placed the orders, the bread course was brought to our table first. 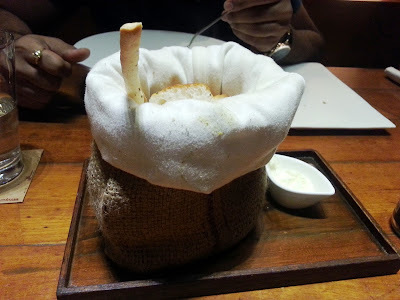 The breadsticks and pieces of bread arrived in a jute sack - a very interesting presentation style! The soft cotton lining inside the jute bag kept the breads free of moisture. The butter was not flavoured though. I would have liked some kind of herb infused butter, which a lot of eateries provide now a days. The soups arrived right then. Mushrooms are my favourite and I always end up ordering dishes that have mushrooms in them. The soup naturally had to be mushroom based - and really delicious! 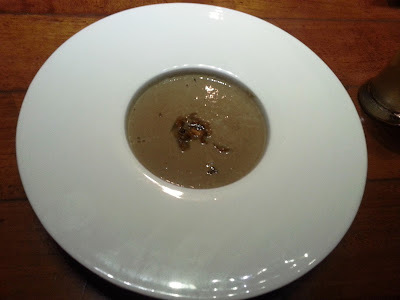 They used shiitake and champignon de Paris in our broth. 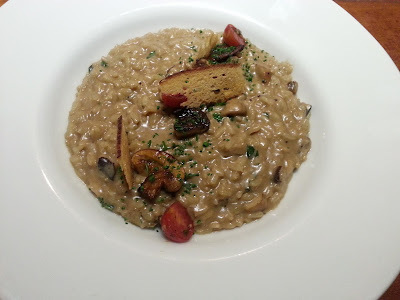 The main course was a creamy and very appetizing risotto. The quantity was so good that we couldn't finish it together between the two of us. I noticed that this place uses real arborio rice and not just any similar looking US variety. The dish was garnished with thinly sliced toasted bread. I really loved the big pieces of button mushrooms and cherry tomatoes in the risotto! 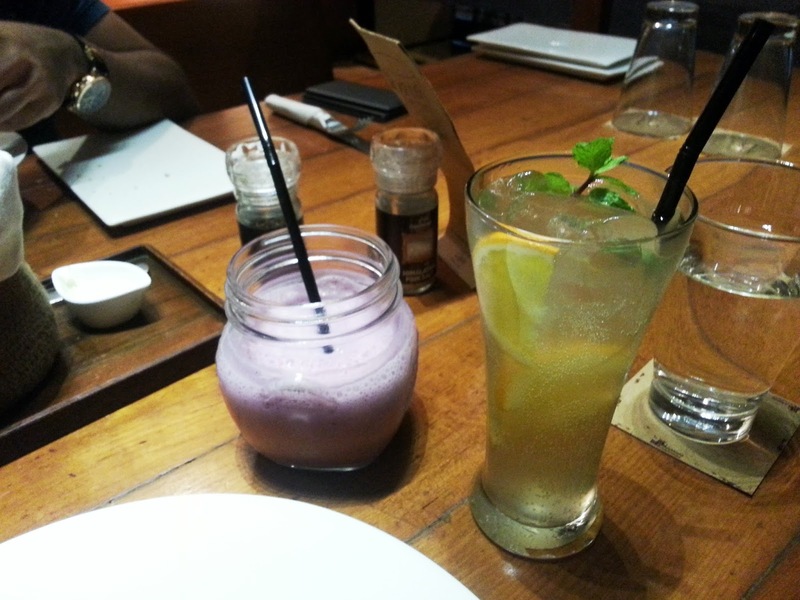 Finally, we ordered a couple of mocktails to spend some more time in Bandra over our conversations. My drink was a light ginger and lemon mix - very refreshing after all that cheesy food! My friend ordered a blackcurrant smoothie which was served in a cute jar. Restaurants these days are making good use of jars to serve their guests, I have eaten desserts and pickles and even a salad in a jar so far! All in all, it was a day well spent, and special thanks to Askme.com! 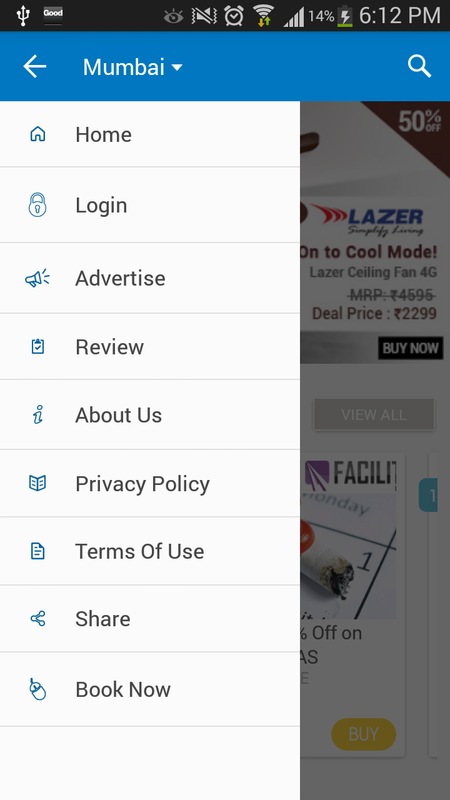 This newly launched app is a really nifty tool! I’m participating in the #RnMOnAskMe activity at BlogAdda. we feel the information AskMe about Salt Water Cafe that's all. 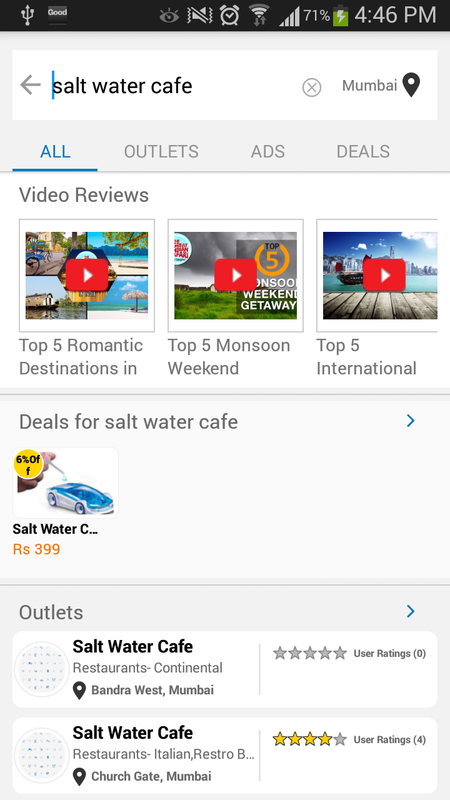 hopefully the information AskMe about Salt Water Cafe that we have conveyed can provide benefits for you and all visitors of this blog, if any criticism and suggestions please comment. you just read AskMe about Salt Water Cafe if this article is considered useful and you want to bookmark and share it please use the link https://stephaniefulke.blogspot.com/2015/09/askme-about-salt-water-cafe.html and what if you want other information look for another page in this blog.